Spellbound River Press, 9781945017001, 212pp. 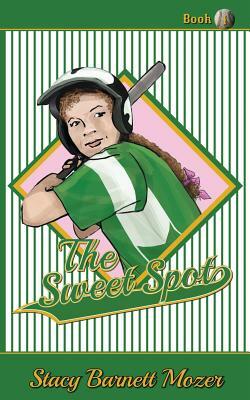 When thirteen-year-old Sam Barrette's baseball coach tells her that her attitude's holding her back, she wants to hit him in the head with a line drive. Why shouldn't she have an attitude? As the only girl playing in the 13U league, she's had to listen to boys and people in the stands screaming things like "Go play softball," all season, just because she's a girl. Her coach barely lets her play, even though she's one of the best hitters on the team. All stakes now rest on Sam's performance at baseball training camp. But the moment she arrives, miscommunication sets the week up for potential disaster. Placed at the bottom with the weaker players, she will have to work her way up to A league, not just to show Coach that she can be the best team player possible, but to prove to herself that she can hold a bat with the All-Star boys.